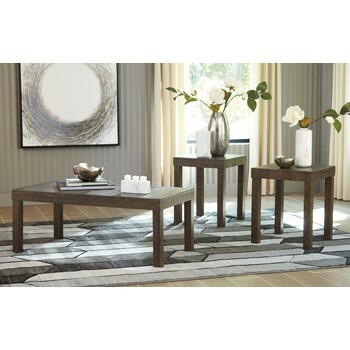 A modern look with a woodsy feel is brought home with this 3-piece occasional table set. Its smooth tabletops are just the right size for displaying accents or setting out snack trays. Straight lines and lean parsons leg design are found in all three pieces and deliver sharp, casual style—what perfect room additions at a remarkable value.